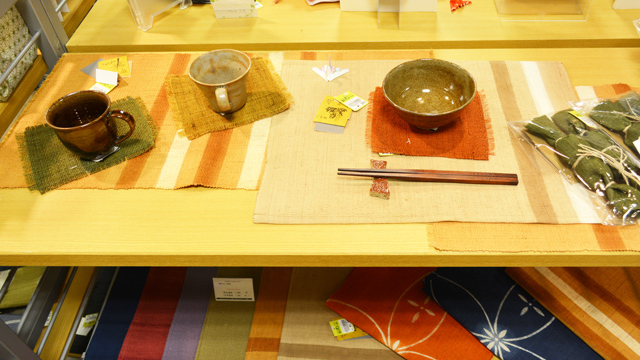 Wano-kobako offers Japanese arts and crafts for living spaces with Japanese taste. 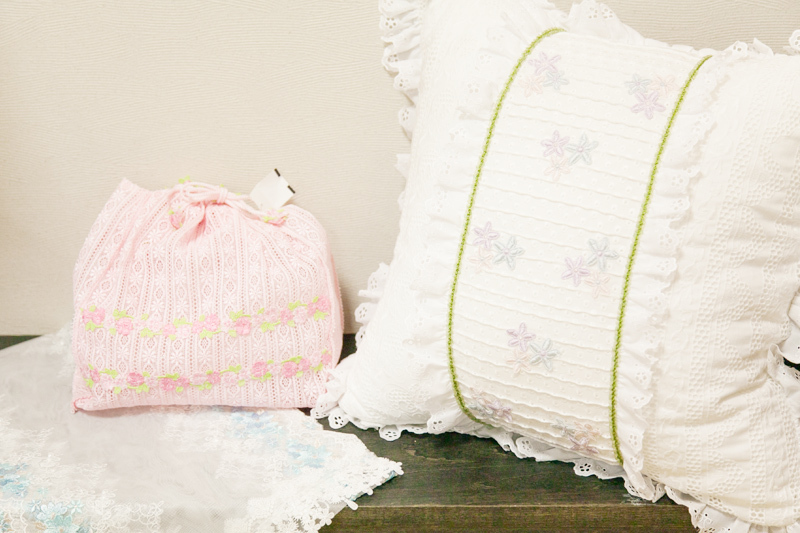 Tokamachi is well-known for traditional Japanese styles, but now also produces multi-colored delicate and innovative lace products made using state-of-the-art lacing machines, which for items like cushions and handkerchiefs. 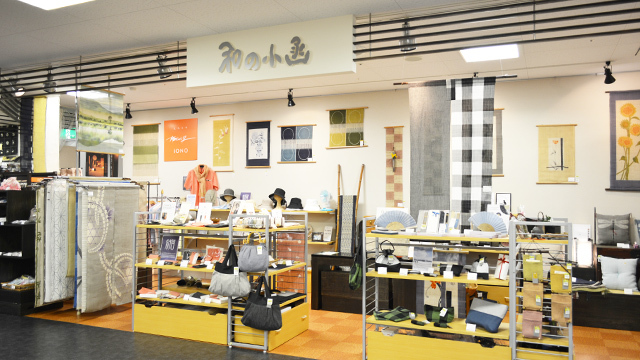 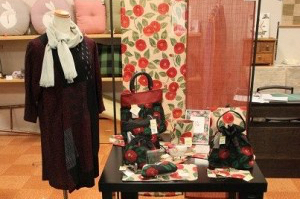 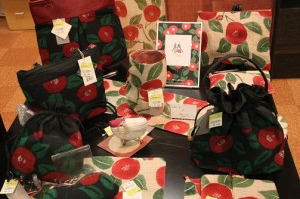 Wano-kobako also offers many tapestries, bags, and interior goods made of ramie crepe produced in Ojiya, a city closely tied to Tokamachi from ancient times. 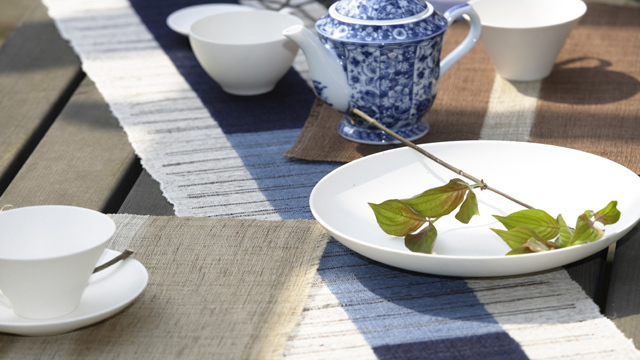 We look forward to your visit. 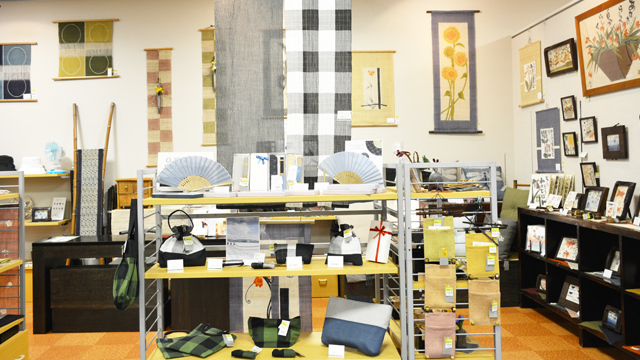 Goods displayed change with the seasons. 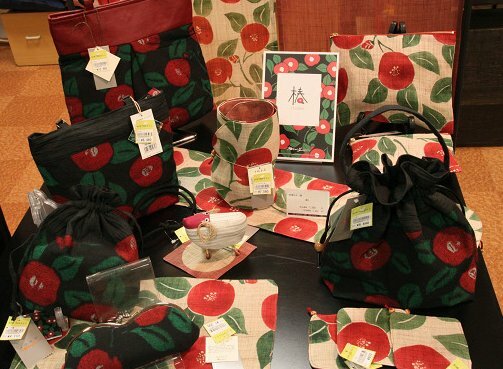 A collection of goods adorned with camellias. 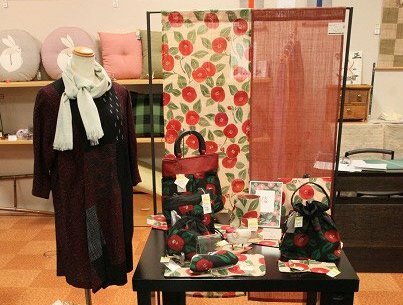 The shop offers multi-colored delicate and innovative lace products, which are only available here. 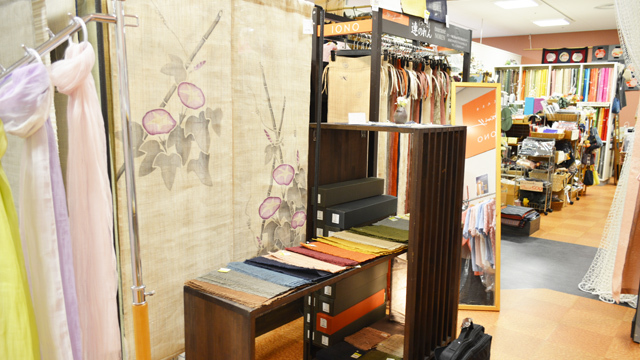 Cushions, kinchaku (drawstring bags), and stoles made using state-of-the-art lacing machines are highly regarded among customers.